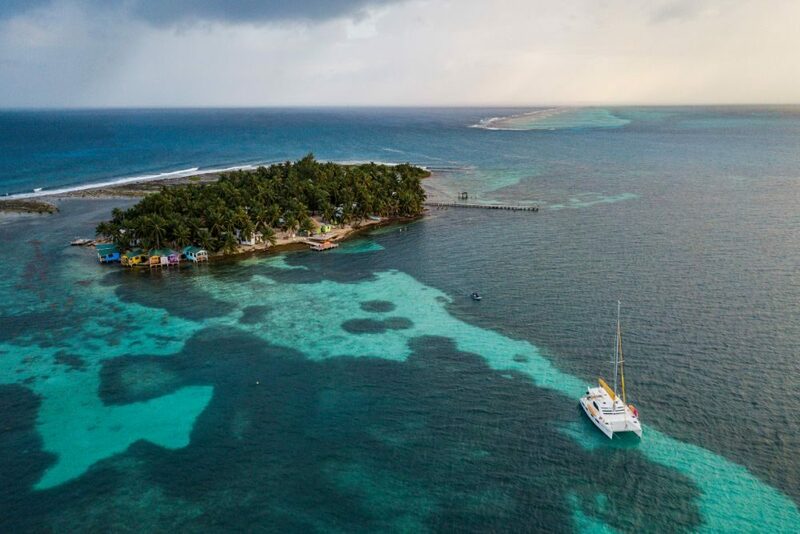 The insider advice on this page is from two of Wendy’s Trusted Travel Experts for Belize: Patricia Johnson and Rachael Wilson of Absolute Belize. 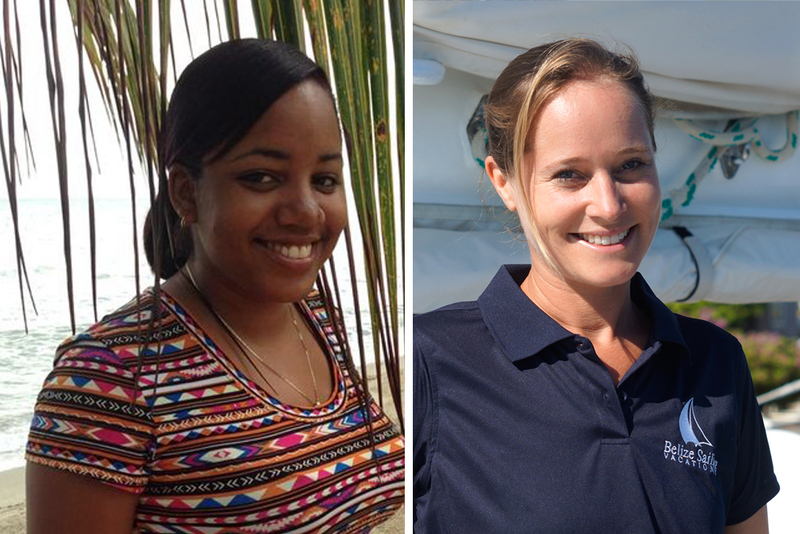 A Londoner who gave up the rat race to settle in the tropics (Rachael, who now lives on the coast) and a Belizean who still resides in her hometown (Patricia, who’s based near the jungle), this dream team designs custom-tailored itineraries that capture Belize’s natural and cultural wonders. Rachael and her husband also own a luxury sailing charter company—which makes trips to the world’s second-largest coral reef, just off the coast, much more pleasant and efficient. And Patricia can tap her network of locals to arrange chocolate-making classes in an indigenous Mayan village and catch-and-cook experiences with local fishermen. From scuba diving and sport fishing to Indiana Jones–style cave adventuring, Patricia and Rachael know how to keep the adrenaline flowing. But their trips aren’t just about roughing it: Patricia spent several years working at some of the country’s luxury resorts, so their travelers get special attention there too, and they can orchestrate champagne picnics beside a waterfall or helicopter flyovers of the Great Blue Hole (which can actually be disappointing if seen only from a boat). Patricia and Rachael can arrange forays into neighboring Guatemala too. Trips start at $700 per day for two travelers, which includes accommodations, private transportation, and some meals and activities. Punta Gorda and the surrounding area. It’s one of the few parts of the country where you can easily access the water and the jungle from the same home base. Snorkel, scuba dive, or fish (maybe even with the chef at your resort) one day, and visit an inland Mayan village or cacao farm via horseback the next. Belize City has only a small handful of cultural attractions and is quite run down. 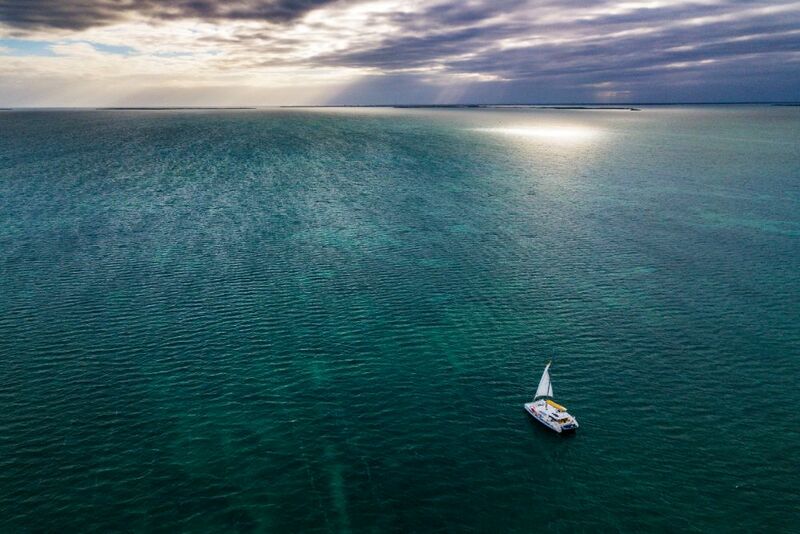 Tobacco Caye is 12 miles off the coast of Dangriga, right on the barrier reef. This two-acre island is home to about 39 locals, some colorful wooden houses, a handful of friendly dogs, and two rustic lodges. The Tobacco Cut, a natural break in the reef, offers some of the country’s best snorkeling as you swim along the outer wall and back through the cut. 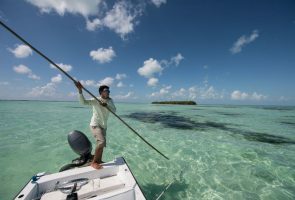 For about U.S. $45, you can spend a half-day at Hol Chan Marine Reserve and Shark Ray Alley, a short distance from Ambergris Caye and Caye Caulker. 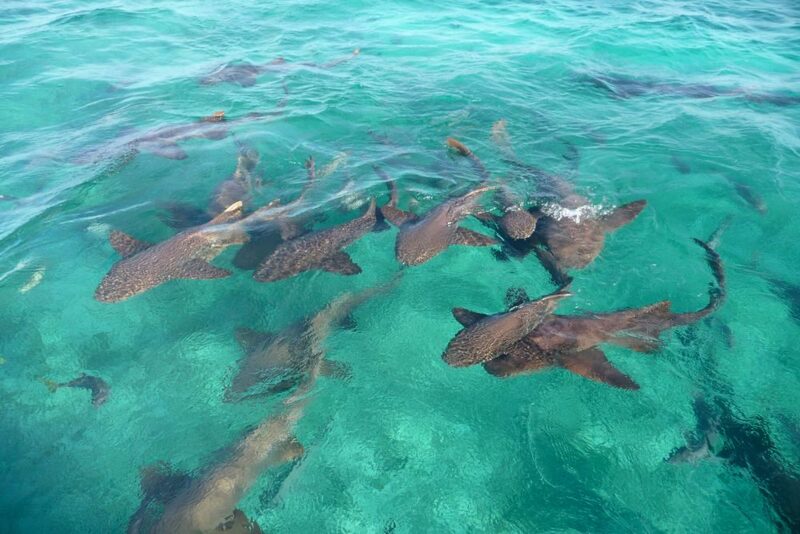 All manner of aquatic life hangs out in this long-established reserve, including moray eels, turtles, schools of tarpon, permit, horse-eye jacks, French angelfish, grouper, nurse sharks, stingrays, eagle rays, and parrot fish. Head to Wahoo’s Lounge in San Pedro Town on a Wednesday night for “Chicken Drop,” a.k.a. chicken poop bingo. Buy a ticket with a number for BZD $1 (about 50 cents U.S.); if the chicken soils your number in its enclosure, you win BZD $100! The Saturday artisan market in San Ignacio sees a melting pot of cultures come together with their produce, goods, and crafts. Enjoy the colorful buzz of the market, then pick up some pork pibil tacos (pork slow-cooked in the ground overnight, a Mayan delicacy), fresh watermelon juice, and dried mangoes from the Mennonite stall. Bring your spoils to the river located just below the market, where locals come to barbecue, swim, and relax. On Ambergris Caye: Cycle the beach to Estel’s Dine by the Sea, the oldest establishment in San Pedro town. Live music, epic portions of BBQ, build-your-own breakfasts, lobster omelettes, and spicy Bloody Marys are the theme, so plan a long ride beforehand to build up your appetite. Then head five miles north to Matachica Resort for a spa treatment. If you didn’t overindulge at Estel’s, the tequila fish tacos and coconut mojitos at Matachica’s Mambo Restaurant are outstanding. Gaia Riverlodge, located in the Mountain Pine Ridge Forest Reserve, about an hour from San Ignacio (and a lot cooler too, thanks to its higher elevation). The main lodge sits on a platform that extends out over a hilltop with unobstructed views of cascading waterfalls. Expect to see toucans and other exotic birds flying by, and listen for distant howler monkeys. A hydro-powered tram transports guests from the lodge to its own private waterfalls and natural swimming pools. The only difference between the various thatched-roof, cabana-style accommodations is their views, so we like the most affordable rooms, which look out over the property’s tropical gardens. A luxury catamaran: Visit the gems of the Belizean waters from the comfort of your own floating hotel. 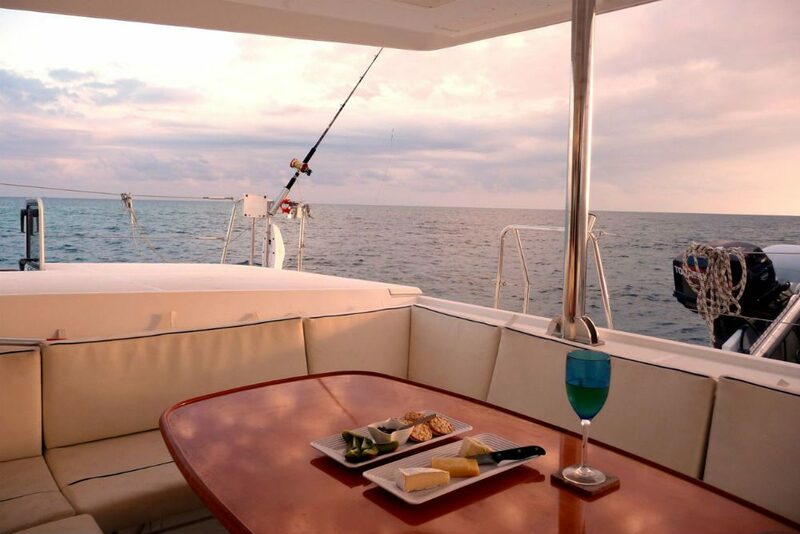 With a private chef and captain/tour guide on board, your itinerary is completely tailor-made; you can go spearfishing and then help cook up your catch, or enjoy a champagne picnic or beach BBQ on a remote island that you have all to yourself. Use of kayaks, snorkel gear, fishing equipment, and paddleboards is included, and we can also arrange scuba diving and land-based spa treatments and yoga sessions. San Pedro: El Fogon is one of the oldest establishments in town and is hidden away down a back street. The five-or-so daily changing dishes are cooked in cast-iron pots over an open fire pit. There will always be a local delicacy on offer, such as stewed gibnut (a rodent known here as the “royal rat”); if conch soup is on the menu, it’s mandatory! Placencia: In the center of Placencia Village, Rumfish y Vino is a gastro-bar offering in-house infused cocktails (try a ginger mojito), inventive small plates, and a menu of classic comfort foods with Belizean twists. The braised short rib lasagna is to die for, as are the “mix n match” tacos and the smoked mackerel dip, which is packed with yellow ginger, red onion, and cilantro. San Ignacio: Ko-Ox-Han-Nah (meaning “let’s go eat” in Mayan, and referred to as Hanna’s) is a hole-in-the-wall spot in San Ignacio town. The majority of the food is grown at the owner’s farm, so the quality is outstanding. The eclectic menu ranges from curries to Irish stew to their signature rum-glazed shrimp, but you can ask for almost anything and they will do their best to accommodate. We particularly love their farm-raised lamb. Sere (or hudut, in Garifuna cuisine) is a very common meal, consisting of fish cooked with coconut milk, mashed plantain, tomatoes, potatoes, and onions, served with tortillas. One of our favorite versions is at Innie’s in the village of Hopkins, a legendary place among locals. 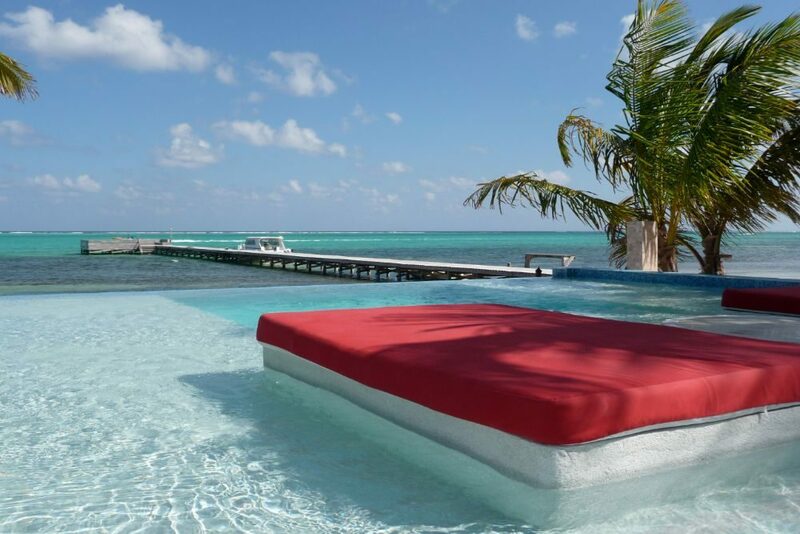 Rojo Beach Bar & Lounge is a stylish barefoot beach bar on Ambergris Caye, five miles north of San Pedro. The cuisine is the most innovative on the island, and perhaps even in all of Belize. The lobster pizza includes house-cured bacon, garlic confit, caramelized red onions, and a chèvre base—decadence on a plate. Bring your swimsuit, as there’s a snazzy plunge pool—plus games and a parrot to occupy the kiddos while you unwind with a key lime pie martini. April. The trade winds are fresh, rains are rare, there are barely any bugs, and high season is winding down. September to mid-October. It’s humid, rainy, and buggy, leading many resorts and restaurants to close during this period. 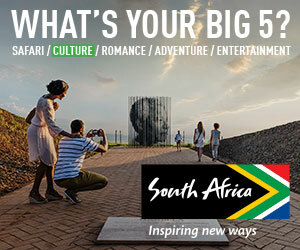 Visiting an attraction that’s popular among cruise-ship passengers when a ship is in port. 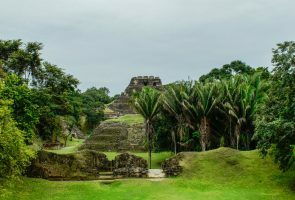 The ships come into Belize City midweek; when they’re docked, avoid the cave-tubing sites, zip lining, the Altun Ha Mayan Ruins, and Goff’s Caye. Marie Sharp’s hot sauces have a unique twist: The base ingredient is carrot, which adds a sweetness to the habanero kick. This Belizean entrepreneur started out of her kitchen using ingredients from her family’s farm and now sells her products internationally. Always check whether prices are listed in U.S. or Belize dollars. As in the U.S., tip 10% to 20% based on the service provided. Avon Skin So Soft and bug repellent: Mixed together they are the ultimate remedy, as sand flies can’t get through the oil.